For the past 20 years Rosie’s work has involved designing and engraving a huge array of mainly stone products for clients all over the world. 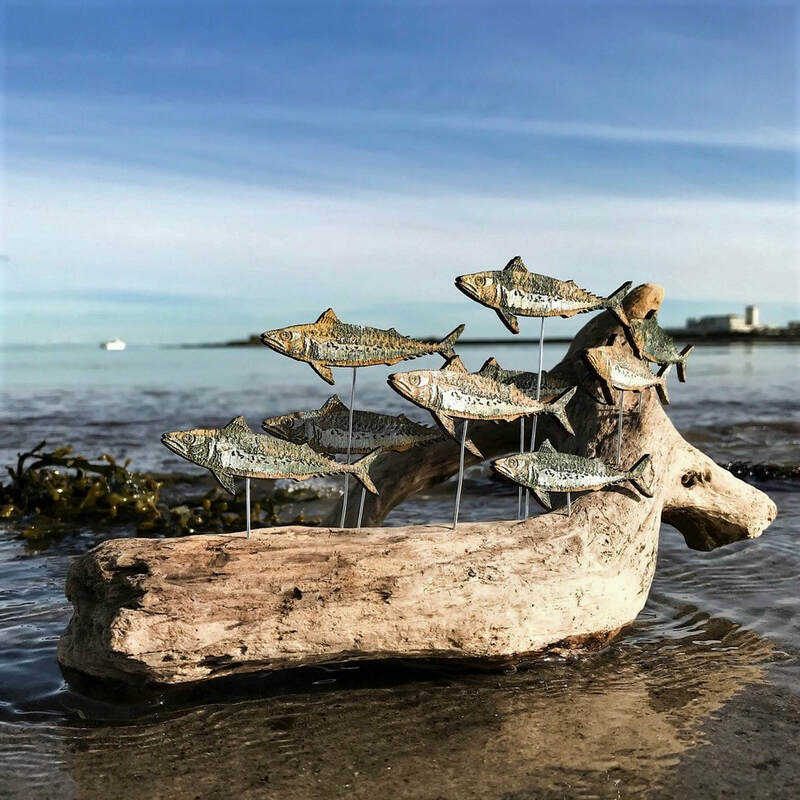 Now based at Grenaby Studios, she combines different media types creating pieces that often reflect the wildlife of our shores and fields. Working with wood, plaster, metals, glass and, of course stone, her work is constantly evolving and changing. She enjoys the explosion of creativity that occurs when artists get together at the studios and is often involved in collaborative work with the other Grenaby Artists. Her signature range of engraved wooden and slate coasters, clocks and rustic signs are available from the Grenaby Studios Shop under the name “GrenaBee” and Rosie welcomes stone sign, awards and memento commissions.